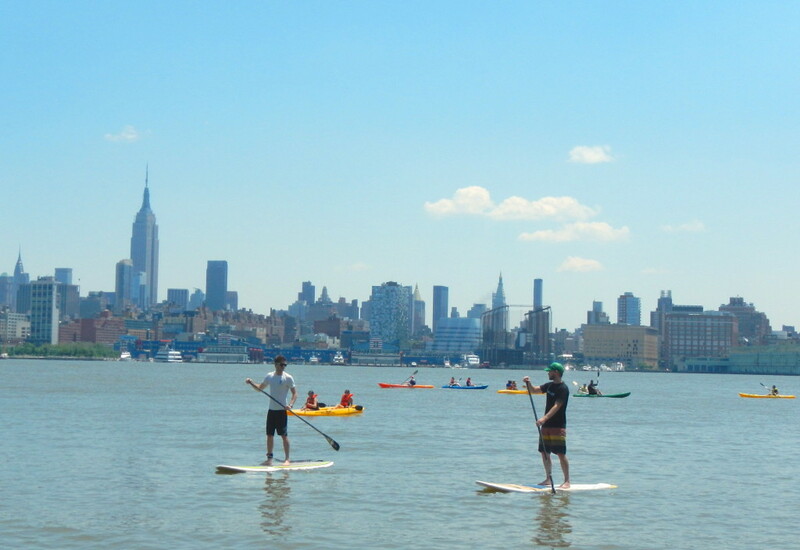 To most, SUPing (Stand Up Paddle boarding) is an activity associated with turquoise waters and palm trees, not the Hudson River and skyscrapers. 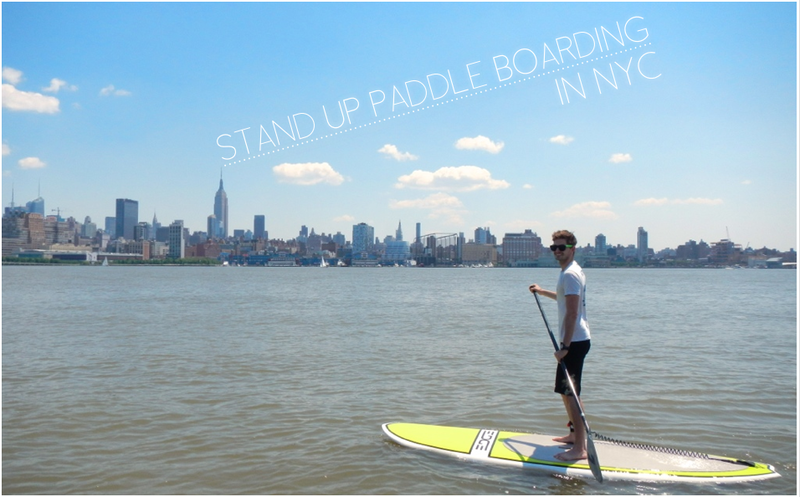 But you don’t need to fly to the Caribbean or Hawaii to try your hand at this trendy new sport; you can SUP in New York City! So whether your a local looking to cool off or a tourist looking for something unique to do during your warm weather vacation to NYC, why not give SUP a shot? To make the most of a sunny day in the city, my brother and I recently hit the Hudson River with our own standup paddle boards. If you’re board-less however, a few companies offer SUP lessons and tours for beginners to experts. So put on your bathing suit, work on your balance and don’t be afraid to maybe fall in once or twice. Here are a few options to get started (make sure to check their websites for a full list of offerings and current information). What: For the beginner SUPer, this hour long course will teach you the basics you need to get started. Check their calendar for current class schedules. What: This 90-minute course will go more in-depth on SUP form and technique to make sure your building a solid SUP foundation. Check their calendar for current class schedules. What: Beginner level instruction. 3 or 4 people to one board, allowing each SUPer individual turns on the board and time to watch and learn. Offered Wednesdays from 6-8pm. What: Beginner level instruction. 1 person to a board (giving you more on-board practice time) and low instructor to student ratio. Offered Tuesday (6-8 PM), Saturday (9:30-11:30 AM, 12:30-2:30 PM), Sunday (9:30-11:30 AM). That looks amazing! I want to try! Even though it is a lot of fun to paddle around the Caribbean, it is pretty cool to go SUP with a city in the background. And it’s great seeing more non-traditional paddleboarding cities like NYC and Boston offering classes and sessions. Kate, couldn’t agree with you more! I’ve never SUP’d in Boston, but I bet its a great city to do it in. Been wanting to purchase my own SUP for city use. Can you launch from any area where companies offer lessons for free? What has your experience been like with your own boards? Hey Nick. It depends on the company and their facility. For example, New York Kayak Company’s runs out of a private facility so you have to be part of a class to launch from their location. Check out this website and click on “locations” to find public access points to the river. You can also check out this company for SUP lessons and tours. If you have a car and can get to the New Jersey side of the Hudson River (where you’ll get a better view of the skyline) you can launch from the Hoboken Cove Boathouse. And as a disclaimer, it’s best to always check with for current information and conditions before trying to take on the Hudson River. Good luck and have fun out there! That looks pretty awesome with the NYC cityscape in the background. 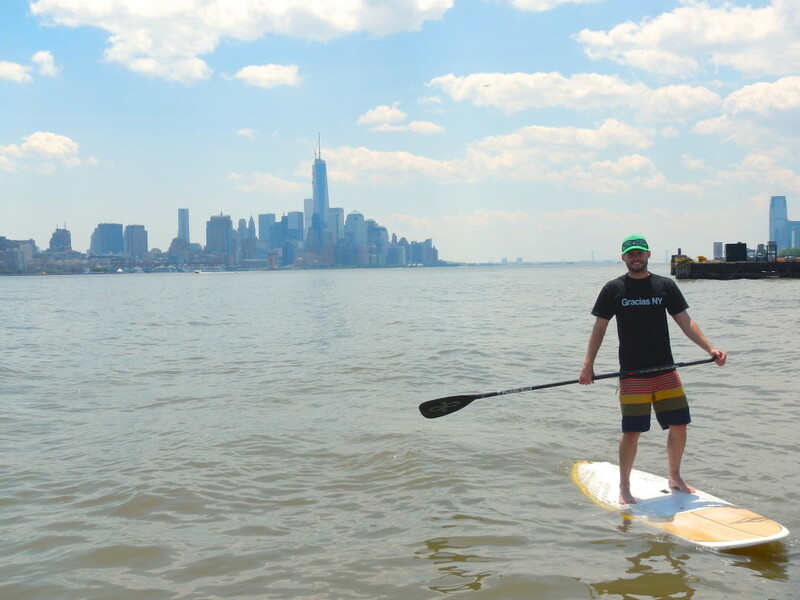 I love SUP in the ocean over here on the west coast, but thats a bucket list item to SUP in NYC. Looks like pretty calm water as well.